Enhance your learning with detailed explanations and quizzes. 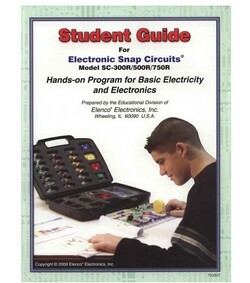 137 full-color pages covering all 750 Snap Circuits projects! Ideal for ALL Snap Circuits models. One book covers them all. This new book has the SAME information as 753289 , 753291 and 753301 COMBINED!